The collision of two satellites over Siberia highlights long-standing calls for a traffic management system and a no-littering policy in space. Hours before an out-of-control Russian Kosmos satellite and an Iridium communications satellite collided 485 miles above Siberia last week, Robert Bell, the executive director of the Society of Satellite Professionals International, told Miller-McCune.com about his hopes for some form of traffic-control system in space. "It&apos;s hard to get agreement on anything," he said. "There hasn&apos;t been much progress beyond the finger-pointing stage," and "unless we do it properly, we could run into big problems." Twenty-four hours later, those problems made themselves plain with the first collision of two intact satellites. "Obviously, that was not supposed to happen," Bell said. The crash of a derelict military satellite wending its way back to Earth and a working bird that helps provide satellite phone service around the globe created tens of thousands of pieces of space junk. That detritus is expected to circle the planet for thousands of years, creating a space-borne minefield for future spacecraft to pick their way through. "Every time we launch something, we leave more stuff in orbit" — from the "shrouds that protect satellite payloads during liftoff to shrapnel from explosive bolts," customarily used to blow open these shrouds to release the mission payloads, to, well, bits of Kosmos and Iridium-33. With more than 900 active satellites and 17,000 pieces of debris 10 centimeters or larger hurtling about the globe at 15,000 miles per hour, low Earth orbit — that coveted region 200 to 500 miles up — is hazardous territory. And at those speeds, size alone is not the only concern. Joseph Pelton, founder and former dean of the International Space University and director of the Space and Advanced Communications Research Institute at George Washington University, said a mere "paint chip just millimeters in size inflicted significant damage" when it struck the windshield of an orbiting space shuttle mission. Although the recent collision took observers by surprise, space debris is by no means a new issue. NASA, for one, operates its own Orbital Debris Program and even publishes a quarterly newsletter on the issue. As late as 1985, "there was very little concern about space debris," said David Wright of the Union of Concerned Scientists. In October of that year, the United States celebrated a technical milestone, and a "Star Wars" success, when an anti-satellite weapon slammed into a target orbiting 60 miles above the Earth&apos;s surface. Shortly thereafter, oblivious to the danger, the U.S. blithely sent space shuttles right through the debris field. After the Challenger disaster — attributable to wholly different causes — grounded the shuttle program, analysts took pause to consider the emerging orbital debris problem and the need to mitigate. And the anti-satellite tests stopped — for a while. After decades of effort, the Chinese military in 2007 tested its own anti-satellite weapon, blasting a defunct weather satellite to bits in low Earth orbit, the prime orbital turf. NASA estimates that a quarter of the "catalogued objects in low Earth orbit are remnants of the Fengyuan-1C weather satellite, with an additional 400 bits being tracked but not catalogued. "The Fengyun-1C debris cloud easily constitutes the largest collection of fragments in Earth orbit," NASA reported last month, before the satellite crash. 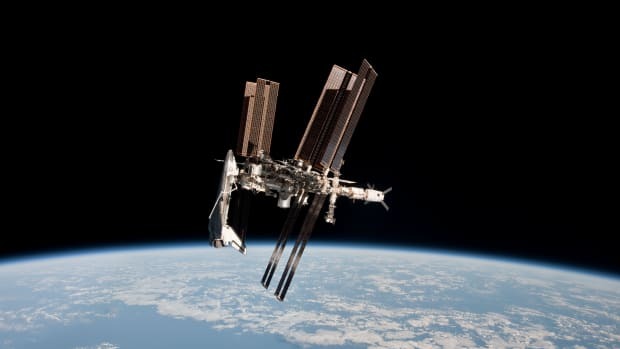 And America may have snuck in another test on Feb. 20, 2008, when the U.S. Navy fired a projectile at a failed satellite, reportedly to vent hazardous fuel before it could cause a problem when it reached the ground. Wright said as a consequence of the Chinese and American military tests, nine documented collisions and routine space flight practices that leave a trail of junk during launch and staging, the space debris problem may already be spinning out of control. In a recent briefing paper, he cited a 2006 NASA study that showed that the density was even then "supercritical," in the orbital region where the Iridium collision occurred. That means "collisions create additional debris faster than atmospheric drag removes the debris from orbit. As more debris is created, this leads to a slow-motion chain reaction, or cascade, that will continue to increase the number of debris particles in this region far into the future." And, he said, there is no way to recover the junk. A short-term fix would be to attach physical shields on satellites to protect against lethal little particles, but that has always been seen as a work-around and not a solution. Satellites, however, can be maneuvered using on-board fuel supplies. Bell said communications satellites generally use this capability to "adjust their orbital velocity and position in a complex ballet as they pick up and hand off calls" from various regions of the planet. Wright added a caveat: Operators need to have the appropriate data about obstacles in their satellite path, but he said information generally provided by the U.S. military lacks the precision required for smart and timely evasive maneuvers. Close calls and near misses — within 5 kilometers — are termed "conjunctions," and experts say they are not uncommon —Iridium received 400 conjunction reports for its 66 in-service satellites and orbiting spares the week prior to the crash. But Wright said the probability of a collision between objects separated by 5 kilometers, and in many cases assigned to orbits at different altitudes, is quite low. If operators responded to each conjunction report with evasive action, "they would spend all their time and fuel trying to avoid very low probability events," he said. He would like to see the U.S. military share more of its high precision data with the public, although doing so might compromise the classified location of the military&apos;s satellites. With a touch of irony, Wright noted, "One of the things about space is you can see stuff up there. And there is an international set of amateur astronomers who like to try and find classified military satellites and track them using pretty simple technology. And they can get pretty good tracks on them." There are no fixed sets of rules or authorities in space, no stellar traffic cop. However, the private sector is already policing itself. Among other safety measures, ITU sets strict criteria for proper disposal of satellite hulls once they reach the end of their serviceable life. "You go through a rigorous licensing process, documented to the nines, to insure against an on-orbit failure." For satellites in low Earth orbit at the end of their service life, ITU requires operators to fire the satellite&apos;s engines for a controlled descent into the ocean. Spacecraft at higher orbits, upon reaching retirement age, must jet themselves into deep space, to career into the void, for eternity. Since there is no traffic cop, Bell said these practices arise more "out of a sense of cooperation for the greater good among the small number of players in the industry" than from any codified set of regulations. And it&apos;s not always easy. "Engineers may have to trade off instrumentation or service capability to make room for the extra fuel to take care of disposal," Bell said. Although ITU lacks enforcement authority, Bell said it does offer a valuable inducement to compliance. ITU administers radio transmission spectrum licenses; without radio communications, any satellite, no matter how sophisticated or expensive, has little value. Wright said ITU, in some respects, provides a useful model for regulating space in general. It functions by consensus, with orbital slots divvied in a manner deemed equitable by the members, allocating theoretical arcs of sky to each nation to use or to license as suits their purposes. Arbitrator and economist Thierry Sénéchal in June 2007 proposed a global "space debris convention," in part because, he argued presciently, "the density of debris at certain altitudes is high enough to guarantee collisions, thus resulting in increased fragments. "In a scenario in which space launches are more frequent, it is likely that we will create a self-sustaining, semi-permanent cloud of orbital "pollution" that threatens all future commercial and exploration activities within certain altitude ranges. The debris and the liability it may cause may also poison relations between major powers," he argued. In May 2008, after 10 years of negotiations, the United Nations General Assembly endorsed a set of debris mitigation guidelines brought forward by the United Nations Committee on the Peaceful Uses of Outer Space. The guidelines cover both space mission planning and spacecraft design, with the goals of limiting debris released intentionally during normal operations, reducing the chances of in-orbit breakups, avoiding intentional self-destruction, and cautioning about the storage of energy systems that use noxious or radioactive materials. Developed by the Inter-Agency Space Debris Coordination Committee, whose members include governmental bodies from the United States, Russia, China and eight other space-faring nations, the guidelines are voluntary, covering only civilian space efforts, not the military sector that created much of the debris. The Secure World Foundation promotes a draft space treaty first developed by University of Virginia law professor Michael Krepon. The draft rejects destructive weapons testing in space and includes a noninterference clause, which experts say may provide a baseline for addressing space junk, space traffic and all sorts of other space mischief. Pelton, who works closely with the SWF, said this treaty, if adopted, "will include strong incentives and penalties to reduce the possibility of collisions in space." Though much is yet to be accomplished, Wright said even nations embroiled in adversarial relations have adopted the key tenets of good space citizenship. "Countries that are starting to use space — and there are more and more of them — have a real vested interest in trying to make the use of space sustainable far into the future." Merely identifying all the stuff orbiting Earth isn't enough to prevent mishaps. We need to know where it's going in data everyone can interpret. It's tricky to get a good estimate for how many satellites are in the skies above us, but if you've ever looked up at the night sky you've probably seen one orbiting the Earth. 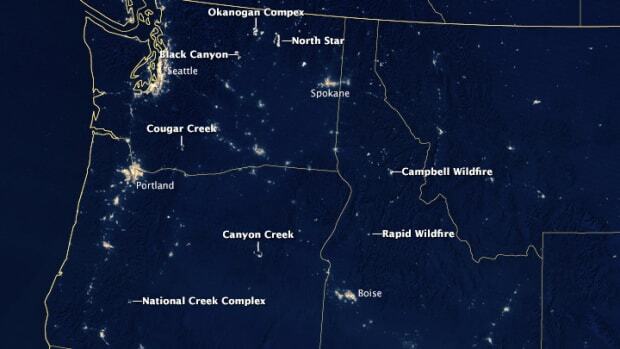 Some of the fires are creating enough heat to compete with major cities at night. Swiss scientists plan to send a "janitor satellite" into orbit to attempt to clean up space debris. How the in-space success of the world's first solar cell-powered satellite encouraged their commercialization across the globe.